Brain researchers have in recent years have discovered the vast, untapped potential of the brain's little-used, right hemisphere. Art therapist Lucia Capacchione discovered that our nondominant hand is a direct channel to that potential. Her research and fieldwork with people using their �other hand� provides the raw material for this classic, first published in 1988. In workshops and private sessions, Lucia has worked with thousands of people, employing these techniques to help them become more creative, expressive, and intuitive in their day-to-day lives and also experience improved health and greater fulfillment in their relationships. 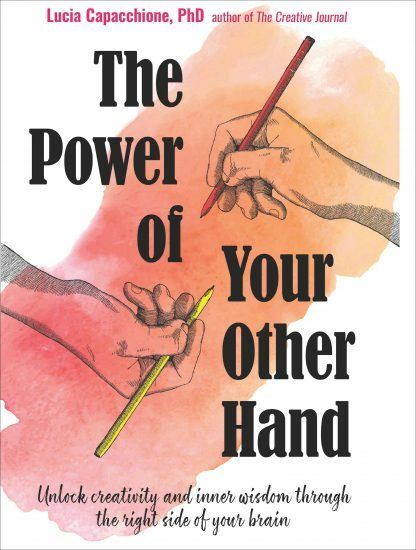 Through various drawing and writing exercises, Lucia Capacchione hopes you will discover the power that lies hidden in your other hand. The techniques will help you explore and understand your thoughts and feelings on a completely different level and reconnect with a sense of playfulness you may have left behind in childhood.